At one time in my life, the Big 5 represented a professional services firm. Two of the five (Arthur Andersen and KPMG) employed me and paid my salary for ten years. Ah, but those days are behind me. Now, after my African adventures the Big 5 represents the African Big 5. Five special animals all safari drives hunt. No, not to kill thankfully (that was years ago), but to see, to watch, and to enjoy. The African Big 5 animals are: the Elephant, the Lion, the Buffalo, the Rhino, and the Leopard. For some, the African Big 5 can seem too much like a checklist, a status for people who traveled to Africa. 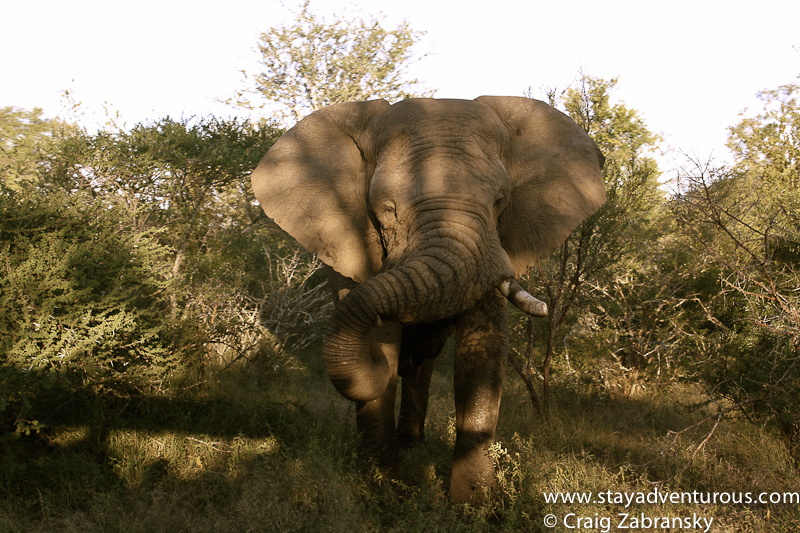 “Did you see the Big 5?” And for those that say no, well it is almost as if you missed out. Trust me, you didn’t. 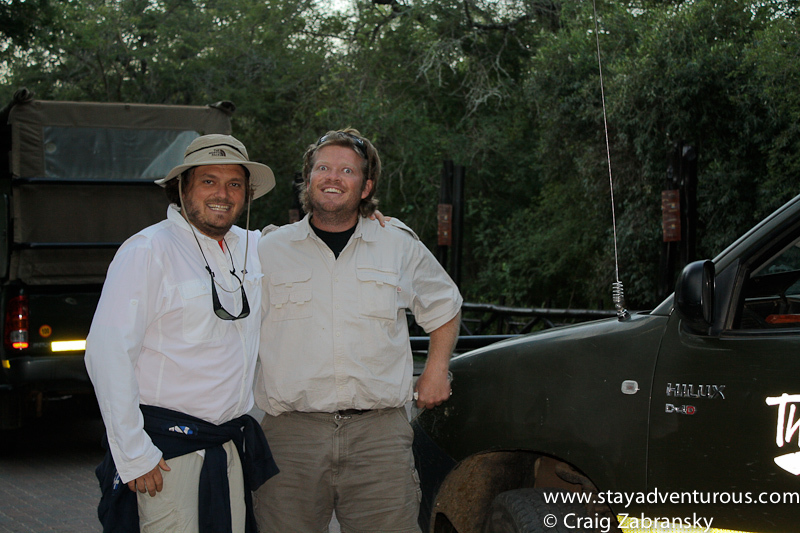 If you took in a safari, you didn’t miss out at all as odds are you had an amazing experience. It’s a journey into the soul of Africa and the world’s true animal kingdom. Heck you can even dive with Great Whites in South Africa, although I would never tempt such fate as a surfer. Yet any experienced safari guide will tell you, what you see is part skill (they do work for tips), but also largely luck. And frankly, for those that only care about that checklist mentality, or to capture the best photos to show someone else, well they miss much of the joys of witnessing and watching the wild. So do not get caught up in seeing every animal, but when you have a great view of an animal – enjoy it. Watch each; play, fight, hunt, chase, hide, love, eat or rest. You’ll be amazed. OK, easier for me to say since I saw all big five, but seeing Hippos submerge, Giraffe’s run, warthogs get frisky, a jackal under moonlight, or just even a sole bird in the tree at sunrise in the bush. All are just as amazing and all are memorable moments. Just like I described in the, thirsty heard of elephants at Chobe, a single elephant was my first sighting, but then I witnessed herds at Chobe. Surprisingly, herds were very abundant on my safari excursions. Probably the best moment was my last while sighting in Kruger, a male elephant in musk started to walk down the road. We stopped. We eventually separated the male from his prospects – the females in the breeding herd. A cause for excitement and stress. We cautiously passed and I took this photo. Look closely, you can see the shadow of the vehicle. Rumors at the Chobe Lodge circulated of a Lion and four cubs. While I explored the Namibian Fishing village, I missed this sighting, but the next morning our safari went back to the same spot and we saw the female lion – but no cubs. Still exhilarating. 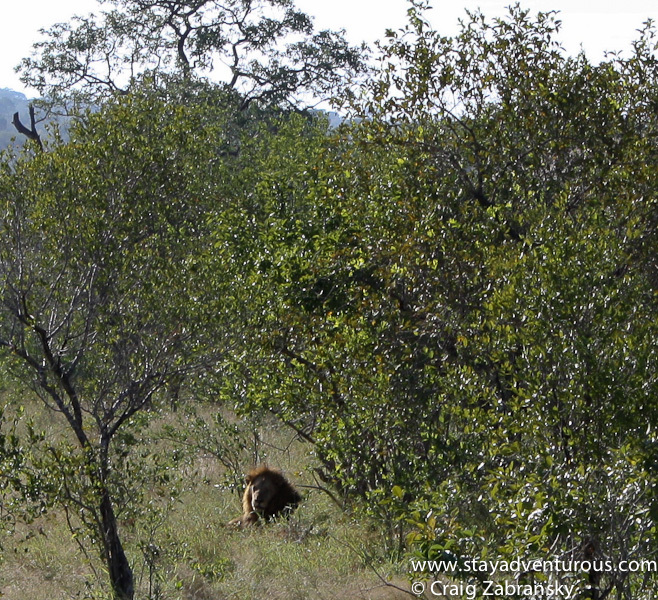 However, days later, in Kruger, we watched a male Lion wake up from a nap and slowly turn towards us. Conserving energy he just looked, almost winked and then eventually went back to his nap. I took this image. In Kruger we witnessed a herd of Buffalo from a distance. The sheer numbers amazed. 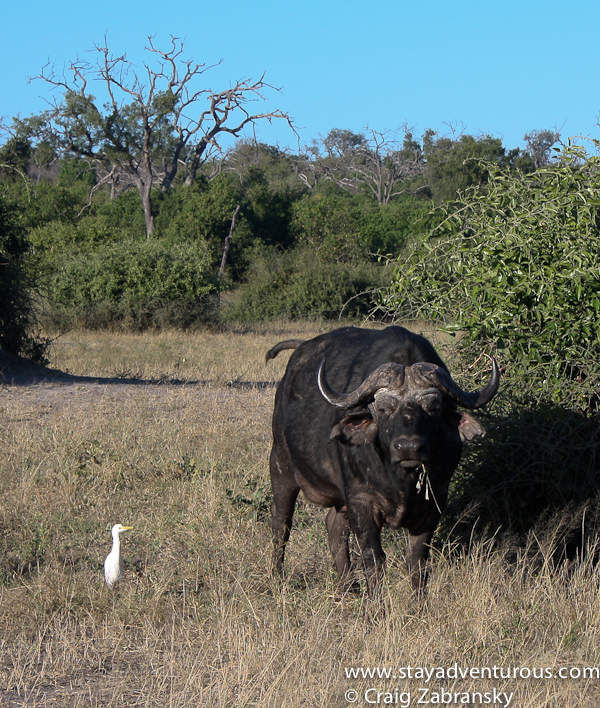 I think I preferred the setting at Chobe, Botswana where a single older Buffalo away from the herd traveled with a friend. The egret simply followed in his footsteps to eat all the insects disturbed from the Buffalo’s path. At that moment I snapped this image. a sole buffalo and his friend travel through the bush..
No longer found at Chobe in Botswana, the endangered species could only be viewed during my safari at Kruger. 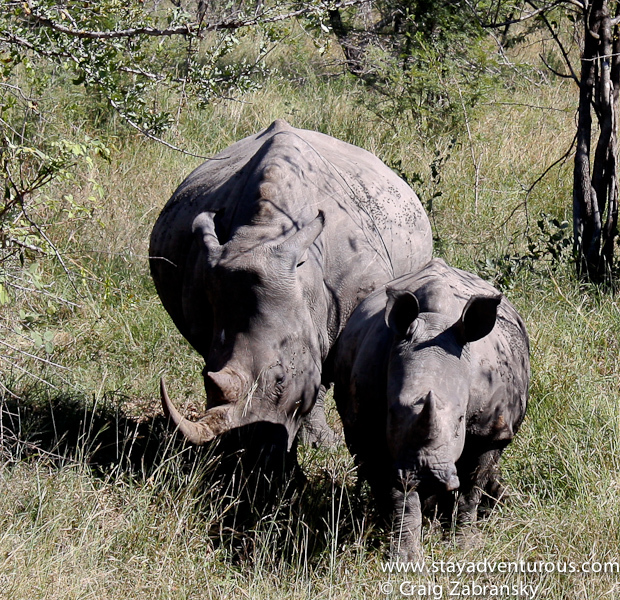 And luckily we happened to find a few Rhino. Some we noticed sitting in mud, and in this image I captured two coming out of the bush and heading (slowly) towards our Range Rover. Never a panic. OK, maybe a small one. mother and child head straight for us. The most elusive. 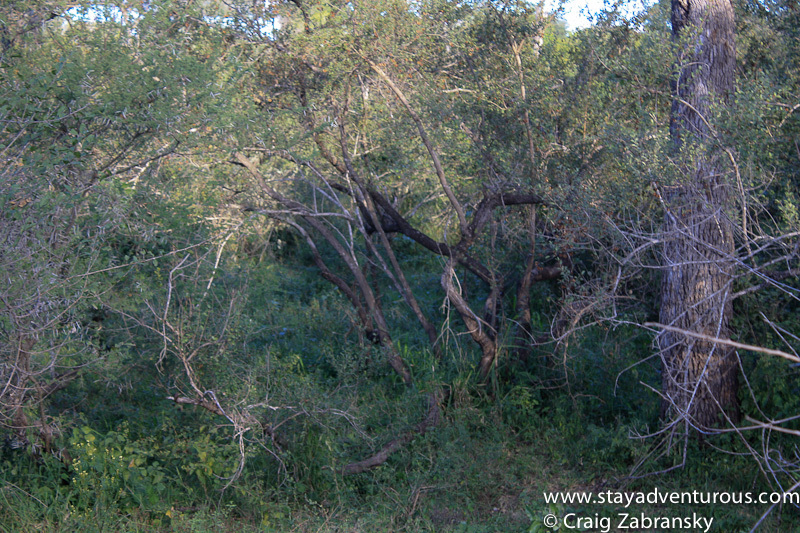 On the last afternoon safari drive in Kruger, the last of five attempts we finally did see the Leopard. It completed my Big 5. And truly the best for last. We first sensed something when a tree full of monkeys were alarmed. They were so loud (nearly going ape). The guide confirmed suspicion and said something clearly spooked them. Then on the radio we learned that just up the road a leopard had been spotted. We were off to view it. When we arrived, we waited and suddenly through a clearing, ever so quickly, we watched the spotted cat come into, and then out of, view. A brief moment is all he allowed us. We waited for another chance, but eventually decided to move on and to continue our search for more viewings. When we heard over the CB radio that he had come out again, we raced back. Still some distance away, we witnessed another leopard along the road. Darker spots, clearly a different leopard. An afternoon of two leopards. Wow! Although the second time, I took out my camera to snap a photo as it entered the bush, I lost him. I snapped a few random images. Nothing. Again, the leopard vanished. OK, yes, I was fortunate to see all big 5 (only photos of four of them), but I didn’t do safari drives for that purpose. I might be able to say, “Yes, I saw all Big 5,” but the true magic is not in the counts but in the adventure. You see them on their turf, and on their terms. You are truly in the bush. You are truly in Africa. « The Zebra: Black or White Stripes? Your resemblence to the crazy tour guide is uncanny. If your mind is open, and you keep your mind on just enjoying the adventure, luck will take over and reward you. Which is exactly what you did and exactly what happened to you! I’m so thrilled you got to see The Big 5! In college a friend of mine told me, “good fortune favors the prepared mind.” Others call it luck. Either way, I was prepared on those safari drives and I was lucky not not just to see the big 5, but to see so, so much. Amazing. LOVE that photo of the elephant! Elephants are my favorite! What an exciting experience it must have been to be in the bush with these incredible animals. Great shots. Very interesting article. I saw all five too, but only also only have four photos. I am missing the rhino. None in Chobe, as you mentioned, and the only ones we saw in Etosha were at night and there was one that had died of anthrax. I like your photo. Guess, we’ll both have to head back and capture our missing two on film.